Stade Geoffroy-Guichard was built on a plot of land that was donated to the club by its founder Geoffroy Guichard (who also founded the retail group Casino). The president of the club, his son Pierre, in turn decided to name the stadium after his father. Stade Geoffroy-Guichard officially opened on 13 September 1931 with a match between AS Stéphanoise (which would later become Saint-Etienne) and Cannes (1-9). 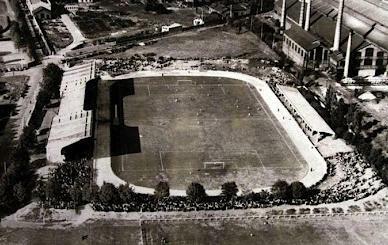 The stadium consisted of a single grand stand of 800 seats, several terraces, and a running track circling the pitch. 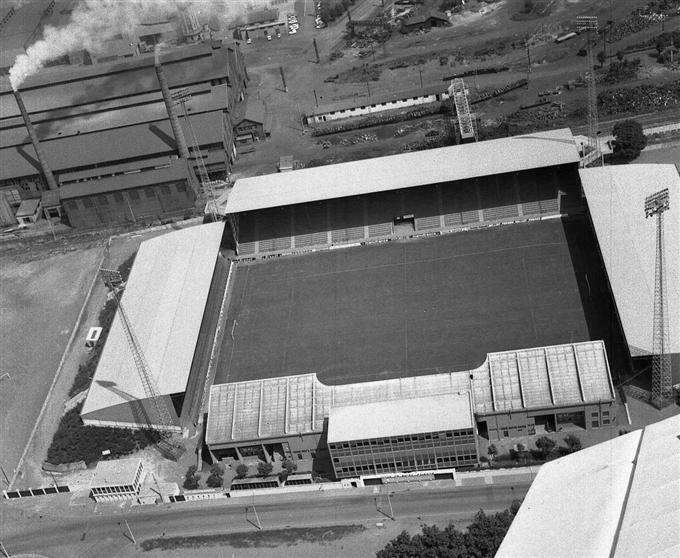 The adjacent steel works regularly blew their fumes over the pitch. Stade Geoffroy-Guichard underwent a major change in 1956 when the running tracks were removed and the stands remodelled in a rectangular shape. 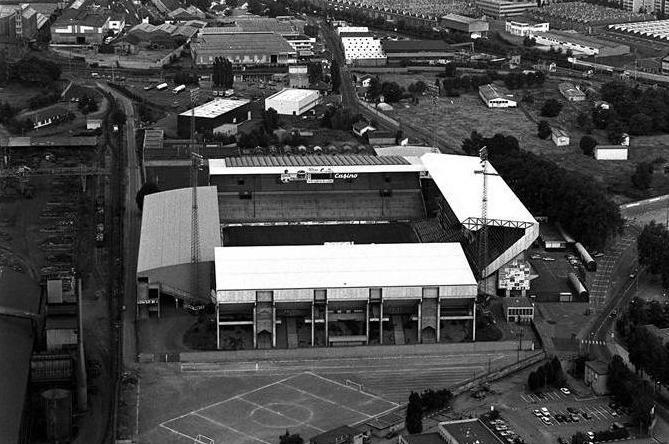 In 1968, after the city of Saint-Etienne had become owner of the stadium, further works were performed, which included a brand new stand opposite the main stand and cover for the two kop stands. This resulted in a capacity of almost 40,000. The stadium got further expanded and renovated for the Euro 1984 Championships, resulting in a capacity of 48,270, almost half of them seats. During the championships it hosted two group matches. It took until a next major tournament, the 1998 World Cup, for the stadium to receive a further major upgrade. Seats were installed and corporate facilities increased. 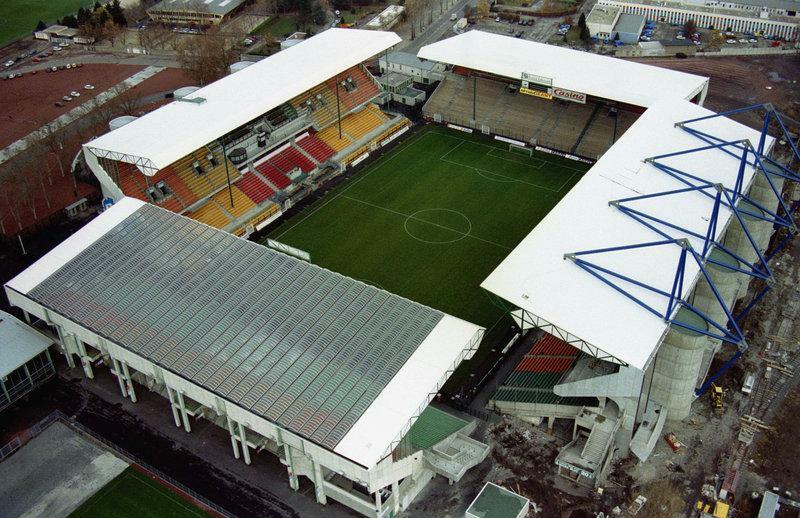 During the 1998 World Cup, Stade Geoffroy-Guichard hosted a total of five group matches and the round of 16 match between Argentina and England (2-2). In 2011, Stade Geoffroy-Guichard was selected as a playing venue for the Euro 2016 Championships, and as a result had to undergo major redevelopment works. The works involved the rebuilding or renovation of all stands, resulting in a 41,500 all-seater arena, and were completed before the start of the 2014/15 season. During the Euro 2016 Championships, Stade Geoffroy-Guichard hosted three first round group games and the round of 16 games between Poland and Switzerland (1-1). Stade Geoffroy-Guichard is located toward the north of the city of Saint-Étienne, just over 2 kilometres from the city centre and main rail station. One can walk to the stadium in about half an hour. Alternatively, one can take either tram T1 or T2 from the city centre (Place Jean Jaurès). Take them in northern direction and get off after a short ride at stop G. Guichard. From there it is a 5 to 10-minute walk to the stadium. From the main rail station (Châteaucreux), one can take bus 9 in the direction of Montreynaud. Get off at stop Le Marais, from where it is a short walk to the stadium. Buses go at least once every 15 minutes, and the ride won’t take more than 10 minutes. Stade Geoffroy-Guichard is located close to the A72 motorway. If coming from the direction of Lyon, follow for A72 Saint-Étienne. From the A72, take exit 13 Montreynaud/Technopole and turn right toward the city. Follow for about a kilometre and turn right onto the Rue Camille de Rochetaillée. After a few hundred metres turn right again onto the Rue Paul et Pierre Guichard. Stade Geoffroy-Guichard is located in an area that is a mix of office buildings, industry, and other sports facilities. It is not a particular appealing area, with few options for eating and drinking around, which is therefore better done in Saint-Etienne’s city centre. There are no hotels right near Stade Geoffroy-Guichard, however if you arrive by car, both Hotel Austria and Hotel Ibis Saint-Etienne are decent options along the A72, and only a 15 to 20-minute walk away. 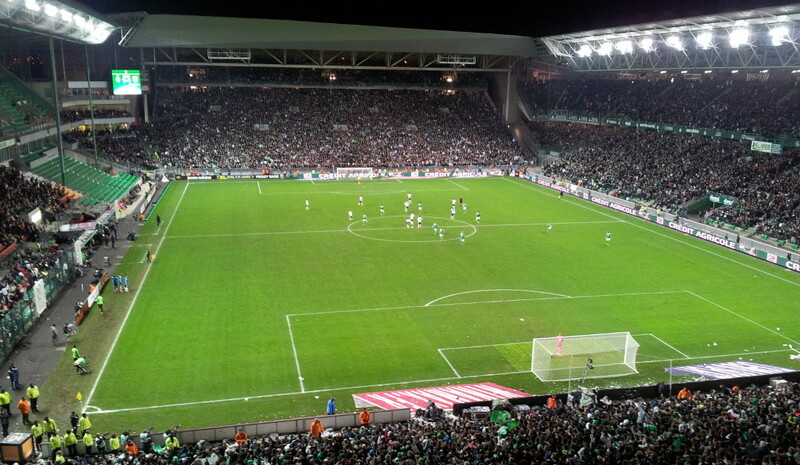 Click here for an overview of hotels near Stade Geoffroy-Guichard. If you arrive by public transport, staying in Saint-Etienne’s city centre or near the railway station is probably the best option. There are various decent options, which you can find here. Tickets for Saint-Etienne games can be purchased online, by phone +33 (0) 4 77 92 85 41, at the ticket office at the stadium, at the club shop close to the stadium, or via the Francebillet and Ticketnet sales outlets. Tickets can also be bought on the gate on the day of the match. 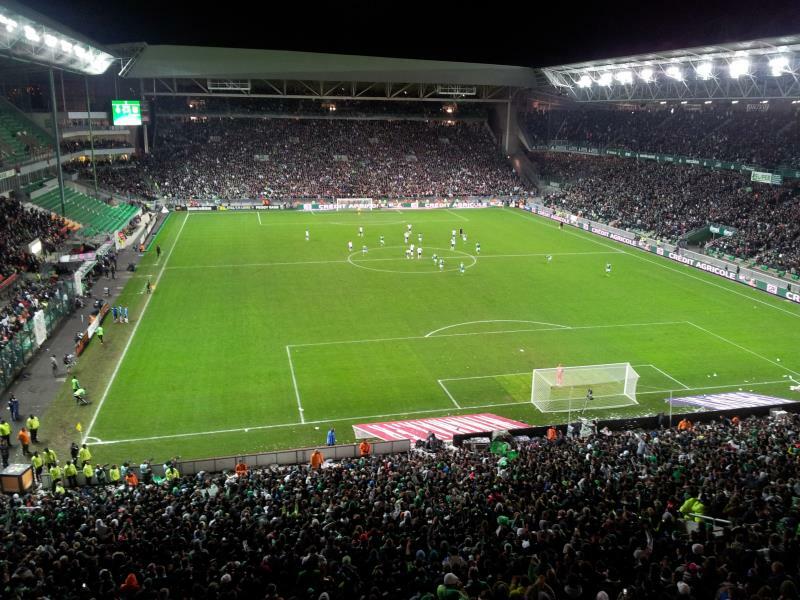 Saint-Etienne’s attendances have risen in recent years following the redevelopment of Stade Geoffroy-Guichard, but tickets will be available for most regular league matches save for a few high-profile matches. Prices for a typical match range from €15.00 to €40.00, but can vary depending on the opponent. Email billetterie@asse.fr for more information. Stade Geoffroy-Guichard houses the ‘Musee des Verts’ museum dedicated to the history of Saint-Etienne, which also organises guided stadium tours. The museum opens Tuesday to Sunday from 2:00pm to 6:00pm and on Tuesdays, Wednesdays, and Saturdays also from 10:00am to 12:00 noon. Tours run multiple days a week, typically three times a day. Check the Musee des Verts website for the current schedule and bookings. The tour + museum costs €15.00, the museum only €7.00. Asse.fr – Official website of AS Saint-Etienne. Toursime-st-etienne.com – Official website of the Saint-Etienne tourist office. Reseau-stas.fr – Saint-Etienne public transport information. My trip to St Etienne, the city, is clouded by hassle with checking into my hotel, shame really, the stadium is in the English style, lots of places nearby to eat and drink, I was there for Portugal v Iceland in the Euros, great atmosphere, I was in the neutral section but Portuguese everywhere! Came out into near darkness and got completely lost. Asked two local gendarme for directions to walk to my hotel, it was miles away, one of them shouted “be careful” after me! !